Workplace stress is a big deal. While you might think that stressed employees are the norm, it’s important to understand that stress can lead to some serious health consequences. As an employer, one of your many responsibilities is to take care of your employees and keep their well-being a priority. 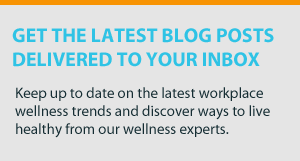 A 2015 study looked at the negative health effects associated with workplace stress. It was found that millions of workers say their job is bad for their health and has caused them to eat poorly, smoke, drink more alcohol, and exercise less. Besides the physical effects of stress – like high blood pressure, body aches, and heart issues – these bad health habits can also translate into poor work performance. Stressed out employees have trouble focusing, thinking clearly, and making rational decisions. While it’s not reasonable to expect a business to function properly with zero workplace stress, employers need to recognize the red flags of overly stressed employees and know when to take things down a notch. Preventing and helping employees manage stress will keep your employees healthier, happier, and more productive. General absenteeism. Have your employees been taking more PTO and sick time than usual? Missing work is a very common sign of overly stressed employees. Irritability. If you notice that a normally chipper employee has become snappy or more hostile than usual, he/she might be stressed out. Watch out for changes in moods and personalities. Stress can cause insomnia and a number of other mental health issues that can lead to irritability. Poor teamwork. Employees who aren’t able to collaborate as well as they used to might be under a lot of pressure and stress. If you’re noticing a lot of arguments and disputes among your team, chances are, your team is too stressed. Reduced quality of work. Being under a lot of stress makes it difficult for employees to concentrate and stay productive throughout the day, leading to sloppier work. Illness. Because stress wreaks havoc on the immune system, stressed out employees are more susceptible to whatever bug is going around. 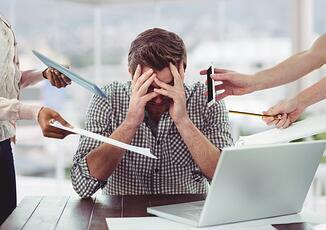 Overly stressed employees might also suffer from headaches, migraines, and other chronic pains. Negativity. Not seeing that optimistic demeanor you’re used to seeing in your employees? When employees are stressed out, it’s hard for them to stay positive and see the glass half-full. It might be hard for them to see the bigger picture. Changes in everyday habits. If you notice any abnormal behaviors, it might be time to talk to your employees. Stress can cause changes in many everyday habits – like skipping meals, taking work home, or stay extra late at the office. Low energy. Stress is physically draining. Highly stressed employees might not be getting quality sleep. You might notice employees nodding off throughout the day or having trouble keeping their eyes open. Health numbers. Use biometric screenings to test for stress. If many of your employees have high blood pressure, it could be a sign of a major stress epidemic at your company. How Can Employers Help Reduce Workplace Stress? The first step is to evaluate and listen to your stressed employees. Maintain open communication and ask your employees if they are feeling overwhelmed or under a lot of pressure. If you think multiple employees are overly stressed, and you’re not sure why, send out an anonymous survey to evaluate employee stress levels and to determine the source of the stress or any triggers. Hold a meeting with employees to evaluate and rethink workplace stressors like deadlines, workload, and overtime hours. Find common ground with employees and set realistic expectations that won’t lead to burnout. Host a lunch and learn to teach employees how to effectively manage stress. Encourage employees to take breaks throughout the day. Even better, encourage your employees to take a walk outside during their breaks. This will help them unwind, recharge, and de-stress. Be a visible presence in your office. Let employees know that they can come to you when they feel overwhelmed or under too much pressure. Together, you can come up with a solution that works best for both parties. Offer de-stressing activities at work. Bring in a yoga instructor once a week, meditate as a group before a big meeting, or offer onsite massages once a month. Allow flexible work schedules. Let employees work from home when they need to and offer flexible hours. Create a calming work environment. Add plants around the office and make sure there’s some source of natural lighting. Create “Zen rooms” that employees can use when they need to de-stress. Work doesn’t have to go hand-in-hand with stress. Reducing workplace stress will lead to better work performance, resilient employees, and an all-around better company culture. How do you help your employees manage stress? Feel free to share some pointers below.